If you’re looking for the comprehensive buzz on nature’s sweetest nectar, you’ve come to the right place! This complete guide to honey for food professionals will give you info on where honey comes from, varieties of honey, honey’s nutritional value, health benefits of honey, honey hazards, cooking and baking with honey, the difference between raw and store-bought honey, organic honey certification standards, and more. Finally, to top off this delectable menu, you will enjoy a rich helping of little-known facts about this golden syrupy nugget! 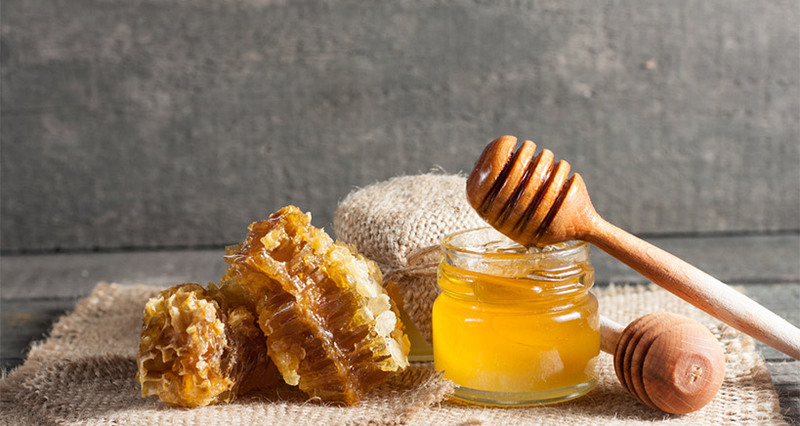 In an age where interest in all-natural ingredients, natural lifestyles, avoidance of harmful chemicals, and nutritious foods and beverages is on the rise, it’s no great surprise that restaurant owners, caterers, bakers, and other foodservice professionals are taking note of the virtues of honey –and including its plethora of flavors and colors in their menu offerings. If your restaurant or catering company follows current market trends, then adding honey to your recipes is a natural outgrowth of going “green,” catering to consumer demand, and protecting the environment. It’s also a savvy way to boost your business!